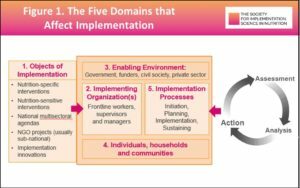 On June 28th, the Society for Implementation Science in Nutrition (SISN) hosted its first webinar entitled “An Integrative Framework for Implementation Science in Nutrition”. 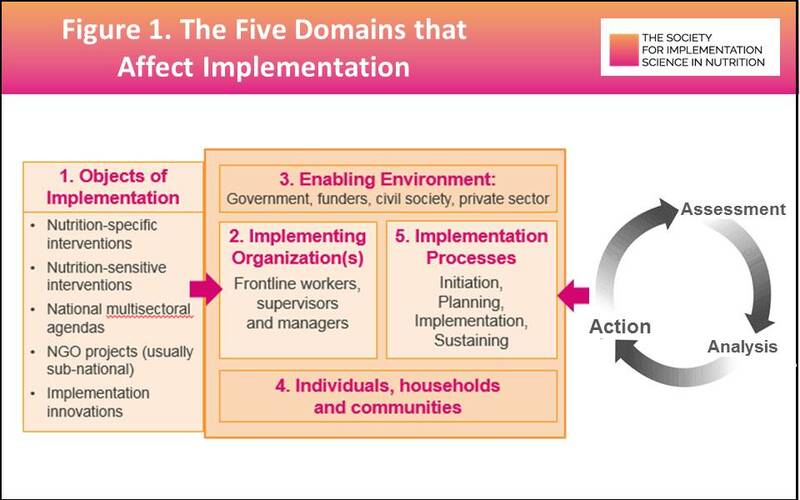 The webinar was targeted at researchers, policy-makers, front-line implementers, nutrition students and others working in global nutrition, and aimed to promote a common understanding of some core concepts in implementation science (IS) and implementation research (IR). During the 40-minute presentation, SISN President Dr. David Pelletier provides a detailed description of two new tools that SISN has recently developed to advance the science and practice of implementation. These include a classification scheme for IR to assist in the categorization and characterization of different implementation approaches and an integrative framework to act as a visual roadmap for IS in nutrition. The subsequent informative Q&A session moderated by Dr. Eva Monterrosa highlights the need for implementers and researchers to collaborate to achieve impact-at-scale. A FREE recording of the full webinar, a pdf of the slides and a quick reference guide to the framework, can be accessed here. This event was the first in a series of educational webinars hosted by the Society. Future webinars will be restricted to SISN members only. The Society for Implementation Science in Nutrition (SISN) is a global society that aims to enhance professional profiles, expand networks, and offer members opportunities to address critical implementation challenges. To learn more about SISN and to apply for membership click here. and, the possibilities for organizing global, regional and/or south-south support to strengthen engagement and implementation research. Through this invitation, SISN is inviting interested countries to join the first phase of this effort which will take place through December 2017 and set the stage for a consultation during the SUN Movement Global Gathering in Abijan, Côte d’Ivoire, in November. sharing existing documents that illustrate the types of implementation research currently underway or conducted in the recent past. Your work will make important contributions to the SUN Movement as a whole, by advancing implementation research and strengthening the engagement of the research and academic communities. In addition, you would have the opportunity to co-author a publication based on the findings and a recently completed scan of the published literature; and acquire a deeper understanding of implementation science to help you generate funding for implementation research from development partners in your own country. Interested parties should email SISN at: implementnutrition@gmail.com. b) All relevant stakeholders [including the scientific and academic community] are making measurable contributions to scaling up nutrition in every SUN Country.